A moderate 5.6 magnitude earthquake shook Turkey’s western province of Denizli on Wednesday, damaging some buildings and knocking bricks and tiles to the ground in the rural area, according to witnesses, officials and the Turkish quake monitor, Reuters reported. There were no immediate reports of casualties, according to mayors and administrators of districts at and around the epicenter of the tremor, speaking on broadcaster NTV. 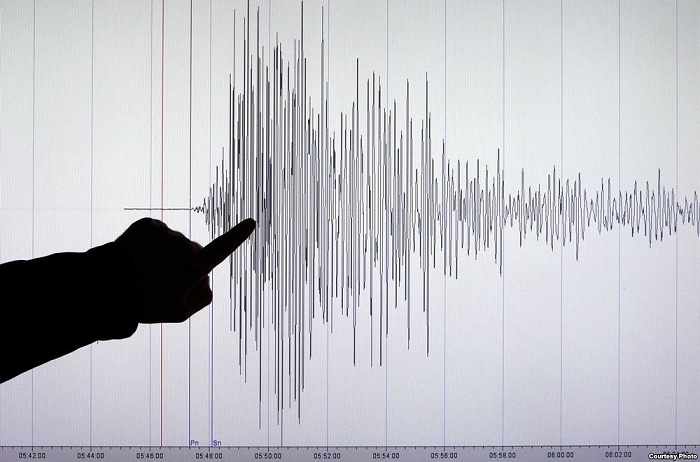 Turkey’s Kandilli Observatory said the earthquake, which stuck at 9:34 a.m.(0634 GMT), was 5 km (3 miles) deep and followed by four aftershocks between 4.2 and 3.4 magnitude. The United States Geological Survey said it was 5.7 magnitude while the European monitoring service measured it at 6.4 magnitude. “This is the biggest quake that I felt, I was outside but it was shaking very much,” Sahin Agah, 30, resident of the town of Acipayam near the epicenter, told Reuters by phone. “I saw some roof tiles, bricks and solar water heaters fell from the roofs. There are some cracks in buildings. I did not see any building collapsed. Everyone is outside,” Agah said. Administrators from the districts of Ucari and Yenikoy, the epicenter of the quake, said on NTV some 20 buildings and houses were damaged. Officials were still assessing the damage. Yenikoy resident Muharrem Gezi said there was minor damage in his village. “I saw some chimneys broken and roof tiles falling on the streets. Some garden walls collapsed as well. Everyone is scared and outside. No one is injured,” he told Reuters.